Remember last weekend’s post? I talked about budgeting, planning for the week, and featured Cabbage Soup and Sloppy Joes? Those two meals (plus the rotisserie chicken I mentioned) kept us going almost all week. I didn’t even need to make the Beef, Quinoa, and Potato soup (see below), but I bought the ingredients so I went ahead and made it anyway. 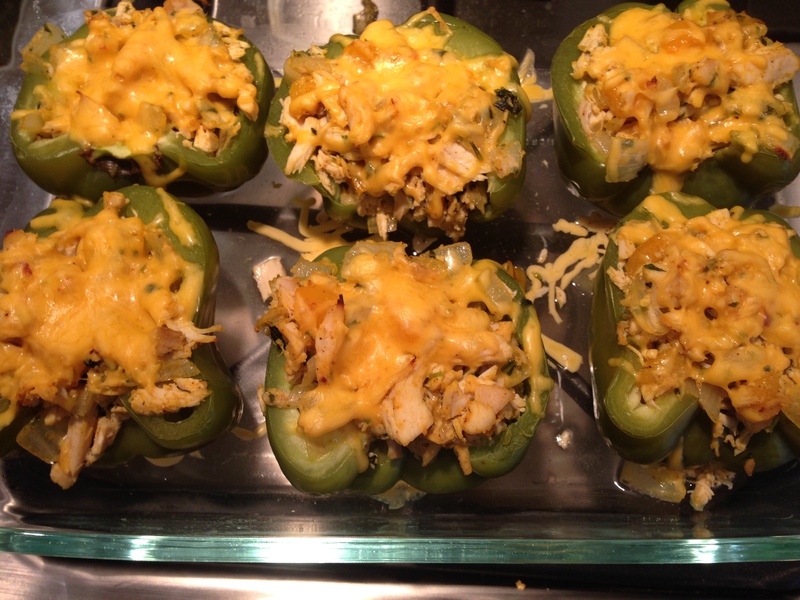 I also had some rotisserie chicken and bell peppers left over (to save money, I bought an entire bag of peppers that were on sale), so I made some stuffed peppers. This weekend’s post will be quick. Just wanted to highlight some of the recipes we ended up using later in the week. Oh, and guess what else? I have gestational diabetes again. No worries, I’m in a good place. I’m destined to always be on some kind of meal management plan, but I have to admit that first trimester sure was fun! 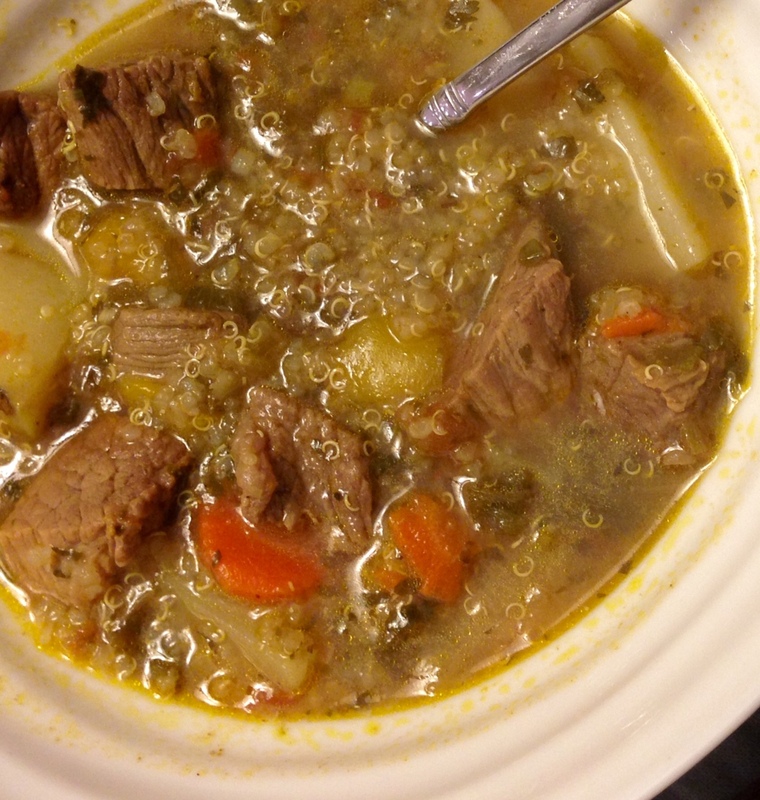 First up: Skinnytaste’s Beef, Potato, and Quinoa Soup. Confession: I decided on this recipe BEFORE I found out I had the ‘beetus. It is still a good option, but I probably would have used one potato instead of two. I also made the homemade sazon seasoning (something I didn’t know about before now) because all I needed was one additional spice to create the homemade version. Next up: Quinoa Salad. 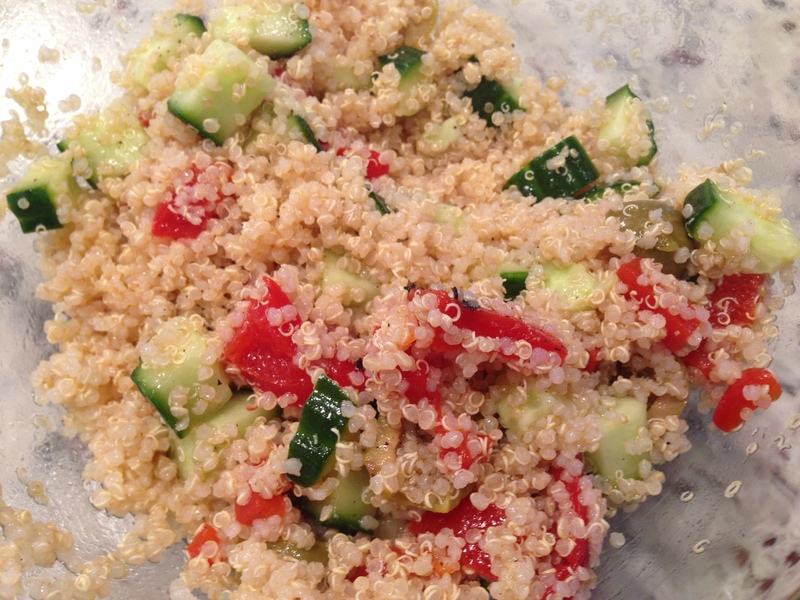 I had some leftover quinoa from the soup, so I just tossed with some cucumbers, jarred red bell peppers, and olives. I squeezed a lemon over it, added some salt and pepper, and a teeny bit of olive oil. I tossed it together and I was done! I plan on adding some feta later. As I said earlier, I had some rotisserie chicken left over from my purchase earlier in the week as well as a few green bell peppers. 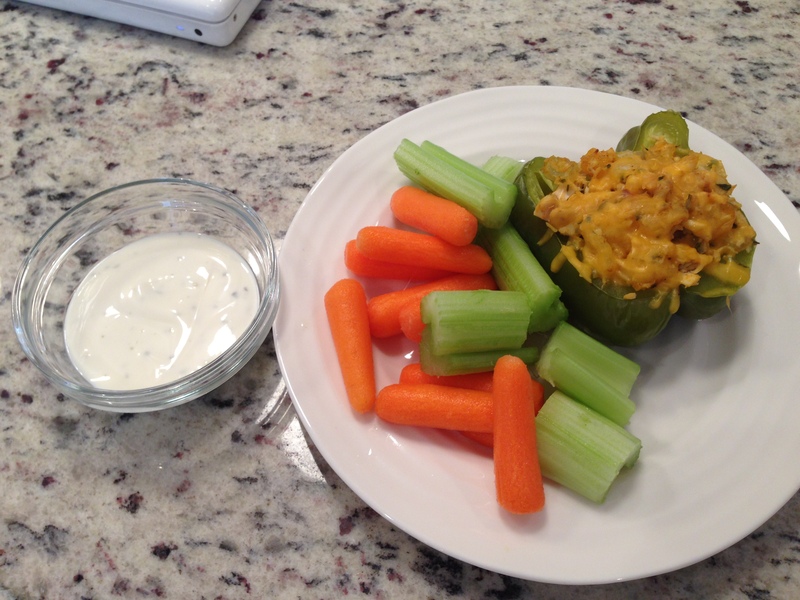 I decided to make this stuffed pepper recipe and get on the gestational diabetes bandwagon. This recipe turned out pretty good. What I mean by that is if it had cheese dip covering it, I might have seen fireworks. But, it didn’t. And…it was still tasty. I didn’t have any beans and I think that would have added the extra oomph I needed. Nonetheless, I have a great side dish or lunch option with this recipe for a few days. Hope to have some more recipes for you next week as well as a few personal/professional updates to share. Happy Sunday!